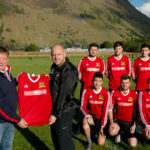 South Lochaber Thistle progressed to the fourth round of the Alona Hotel West of Scotland Amateur Cup after a hard-fought match against a top quality Auchenfoyle side. Extending their unbeaten run to seven games, Thistle made the trip south in buoyant form. Their optimism was well-founded when midfielder Lewis Morrison opened the scoring after only nine minutes, his second goal in as many games. Things did not stay that way for long, however. With 17 minutes on the clock, a clipped ball over the top by Auchenfoyle midfielder David McIntyre caught Alan Gray in the Jags’ defence uncharacteristically off-guard and this allowed striker Scott Nugent to rifle his finish to level the score. Despite some people questioning the quality of sides at this level, Nugent is one of the top names in west of Scotland football; this finish signalling his 138th goal in only his 78th appearance for the Port Glasgow side. Thistle dug deep and it took only six minutes for them to regain their lead. 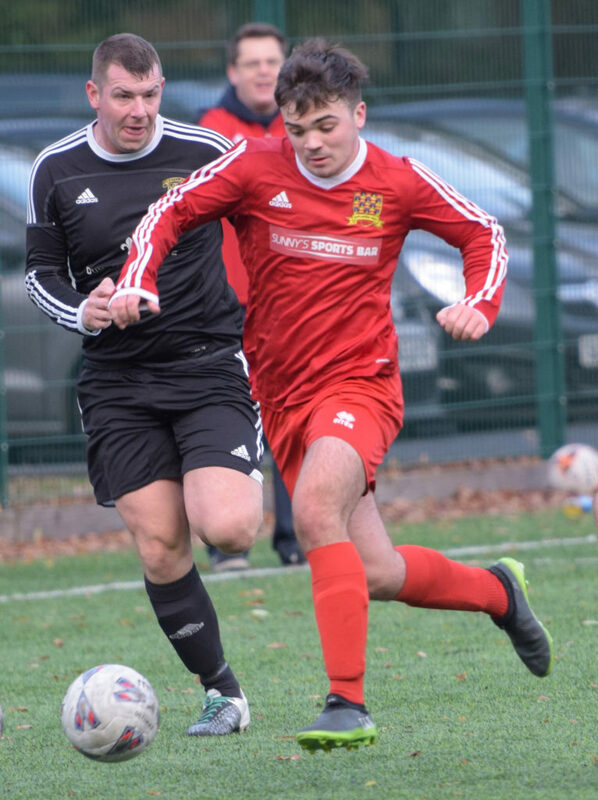 Midfield general Dave Forbes has been in superb form this season and here he again he took the game by the scruff of the neck. SLT were awarded a free kick 27 yards out and from here the vintage midfielder took aim, dipping and curling his finish over and around the wall to leave the keeper leaden-footed and rooted to the spot. 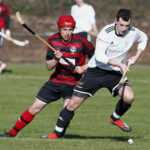 The game became attritional with Auchenfoyle’s stodgy pitch and reliance on balls lofted forward early taking the spectacle out of the match for the neutral. The back four of Gray, skipper Kieron Lopez, Shaun Hendrie and Barna Tot tackled themselves to a standstill, clearing anything with their heads. In front of them, the vintage pair of Forbes and Darren Duncan repelled attacks and hustled, while winger Sean Noble was in uncharacteristically profligate form, turning up his nose at some impish opportunities. 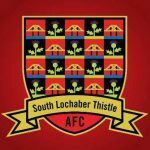 The game finished with the score at 2-1 and it is Thistle who will be entered into the draw for the next round, along with Oban Saints who defeated Caledonian Premier League side Kilsyth. Brown A, Tot B, Gray A, Lopez K (capt), Hendrie S, Duncan D, Noble S, Forbes D, Macmillan A (Hendrie W), Morrison L, Mackintosh D (Novotny P) Sub: Cameron B.